ACT at Odell Brewery…or Do you want VR with your beer? ACT Human Rights Film Festival held a Kick-Off Screening at the SIE Film Center in Denver. Filmmaker Beth Murphy was there for the Q & A for What Tomorrow Brings. The festival is put on by the Communication Studies Department at Colorado State University in Fort Collins, CO. 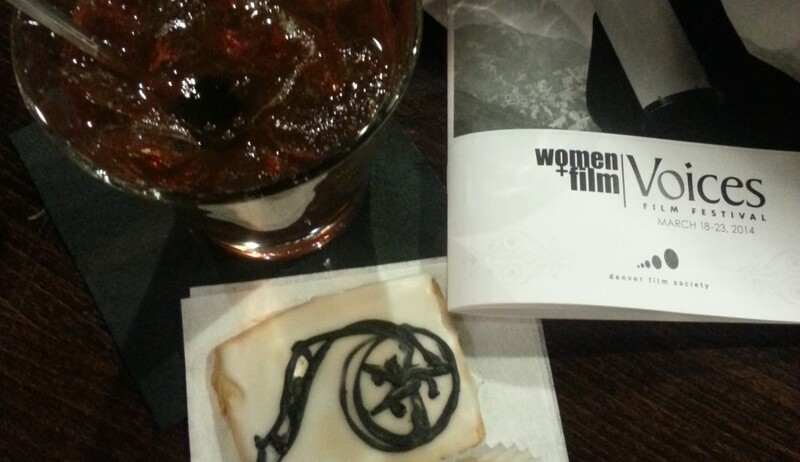 I was there, hot toddy in hand…to support the festival! Odell Brewing Company hosted the Schedule Release Party on Thursday, March 28th, 2017. Odell is brewing a special beer for the ACT Film Festival called Screening Sessions IPA! The 2nd Annual ACT Human Rights Film Festival will bring 16 films to the CSU campus and the Lincoln Center Theater in Fort Collins, many with filmmakers in attendance. Stay tuned for a Very Important Guest Appearance…to be announced Monday! The program covers both national and international human rights issues, and includes humor and beauty to sweeten your educational experience. Topics range from the first South Indian female taxi driver (Driving with Selvi) to Tehran’s underground techno scene (Raving Iran), from solitary confinement in American prisons (Solitary) to a flamboyant drag queen in Ireland who fought for marriage equality (Queen of Ireland). Two documentaries that I recommend are Jackson, a stirring tale of staff and patients in the only abortion clinic in Jackson, MI and What Tomorrow Brings, highlighting how education can change communities in the first all-girls school in a remote Afghan village. The lively event at Odell brewery was packed on a rainy Spring evening. There were program listings to read through, tickets to be purchased on iPads and live music by the lead singer of The Seers, Brian Collins. There were announcements and trailers and a moving virtual reality short film. Who Am I was produced by Blueshoe Media — Kyle Rasmussen (CSU alumni) and Amy Hoeven. The short film immerses you into the encounters of first-generation CSU college students with immigrant high school students from Fort Morgan, CO. I was amazed to learn that there’s been Somalian refugees coming to this conservative town for a decade. It’s a bit of a sweaty (and occasionally, nauseous-inducing) experience once you’ve got the VR headset and headphones on but the VR film is both memorable and thought-provoking. Check it out during the Opening and Closing Night programs. Purchase your Festival tickets now! And stay tuned for an exciting announcement on Monday, April 3, 2017! There’s an actor/singer/activist coming to Fort Collins!